Following my own revelations concerning Penelope’s letters and the realisation that we had once again been thrust into the path of the villainous Hooded Claw, I took all necessary precautions to ensure the three of us remained in close proximity until I could formulate a plan of action. In our room after the meal, Mary appeared quite delighted at the idea of Penelope spending the night with us, until I acquainted her with the details I had decided upon vis-à-vis our intimate arrangements. At that, Penelope jumped up and joined Mary on the end of the bed. “If we’re all goin’ ter keep our clothes on, it dunt matter if we’re in bed togevver, does it?” She grinned at Mary, and the two of them sniggered away for some minutes as if they had planned it that way. Having decided that posting a letter to Holmes would take too long, I had opted to send a boy out to the telegraph office in town. The cost would be prohibitive but I reasoned our situation required advice at the earliest opportunity. As it happens, Tootbridge is one of those so-called liberal-minded towns and boasts the latest in communications technology, so the total cost of transposing my letter came to less than three shillings including a tip for the boy. 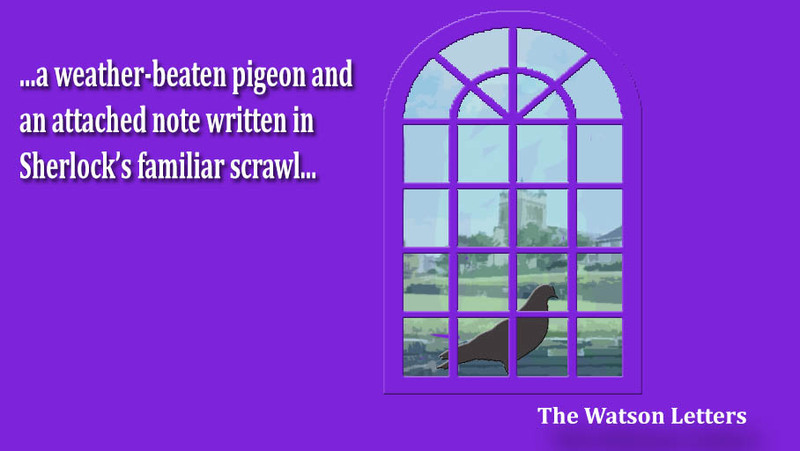 I had hoped to receive a reply from my esteemed companion by the morning, and in fact it was during breakfast that the waiter surprised me not with a second helping of toast and lime marmalade as I’d requested, but with a weather-beaten pigeon and an attached note written in Sherlock’s familiar scrawl. “Is it from Big Nose,” said Mary, stifling a yawn. “Yes,” I said, scanning the copy cautiously. “So it is the ‘Ooded Claw, then?” asked Penelope tucking into sausages and egg. “Do we have time for another round of toast?” said Mary pointedly. Now that ending is very good, Colin. I am glad I am behind a can read the next episode now without waiting.